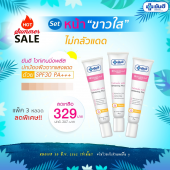 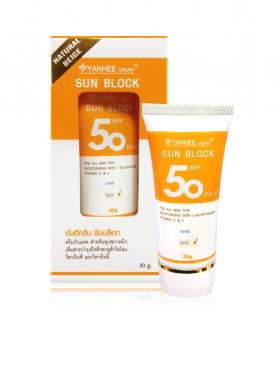 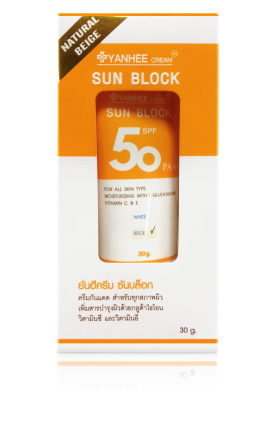 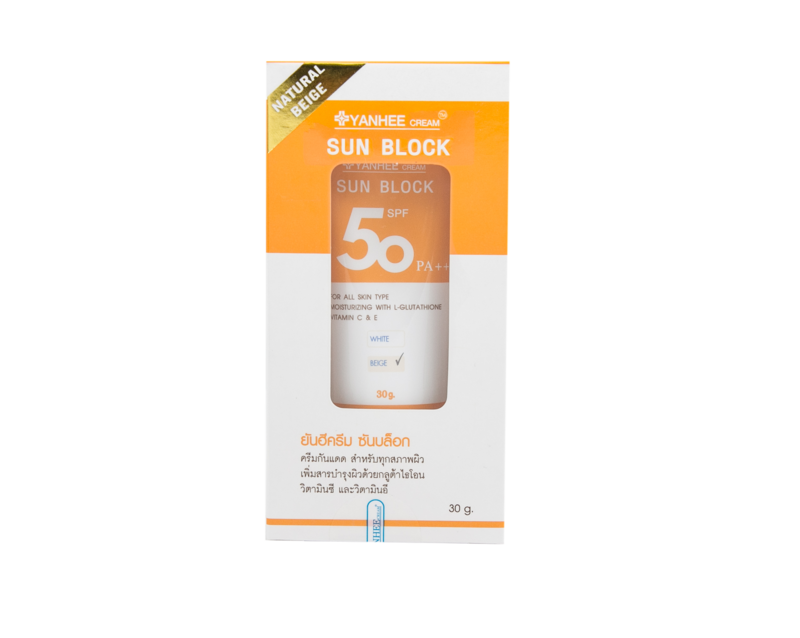 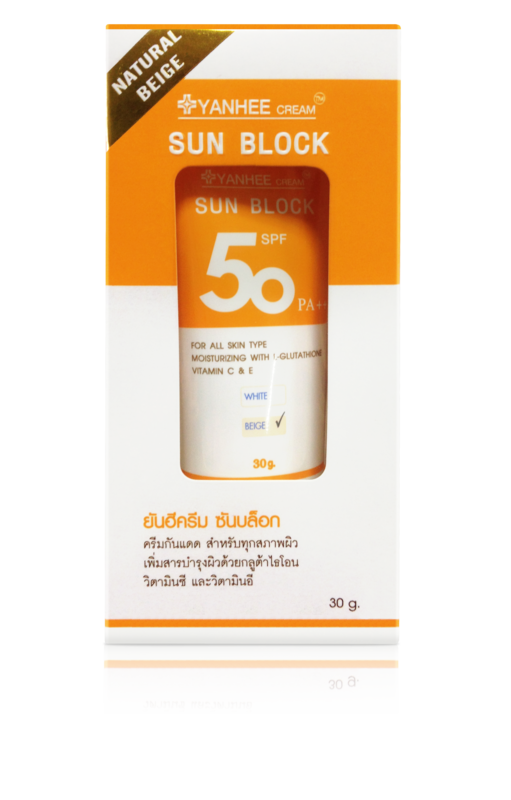 Facial Skin Care :: Yanhee Sun Block SPF 50 PA++/ BEIGE (Box) 30 g.
HomeFacial Skin CareYanhee Sun Block SPF 50 PA++/ BEIGE (Box) 30 g.
• Protect your skin from the sunlight and UV radiation by SPF 50 PA++. • Increase facial nourishing substances, no more worry about darkened complexion. 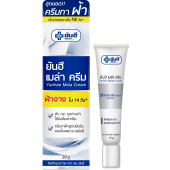 • L-Glutatione reduces blemish and darkened skin on your face. 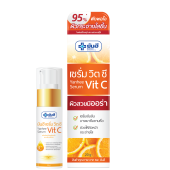 • Vitamin C is an antioxidant that blocks some damage caused by free radicals, resulting in a radiant skin. 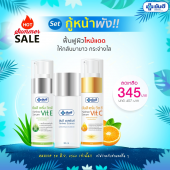 • Vitamin E improves your skin moisture. 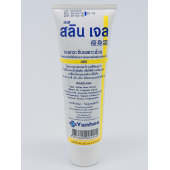 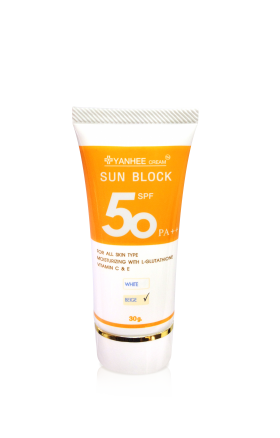 Yanhee Cream Sun Block / Beige Color Suitable for person who like smooth skin. 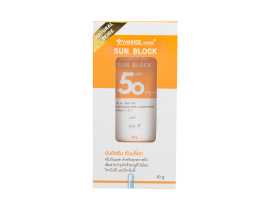 Helps to cover dark spots, red spots and acne scars. 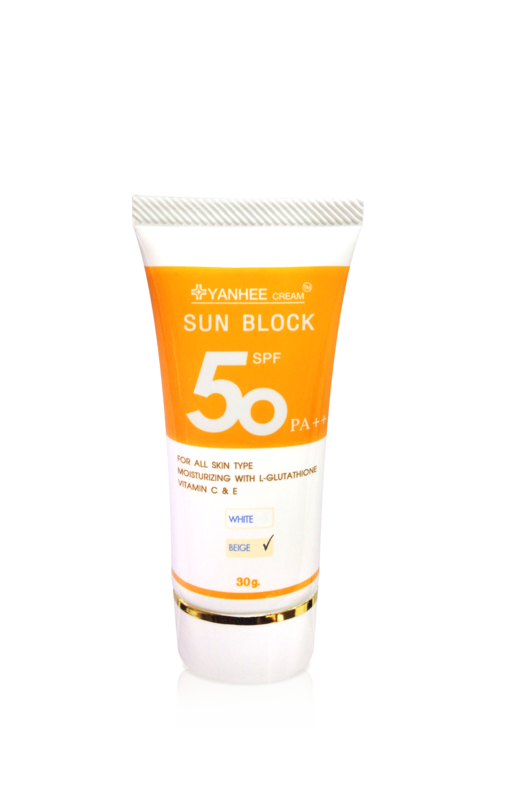 Apply the cream thoroughly on your face and neck 30 minutes before the exposure to the sun. 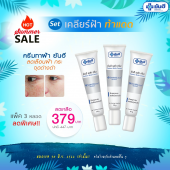 Be careful to avoid the eye areas.